The old men beat the drums and start to sing songs in honor of their ancestors and forefathers. During winter festivals, drummers and singers accompanied dancers whose movements portrayed hunting expeditions and the visits of masked spirits. Songs honored ancestors in the sky world, and during the Feast of the Dead gifts were burned and sent upward to them on the smoke. 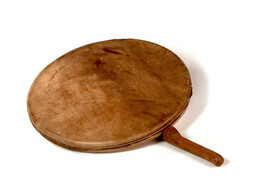 Shamans used drums during rituals and healing ceremonies. Laurie Mulcahy: Did they [shamans] have some kind of rattle? Larry Matfay: I guess so. From what I hear, they got music and some kind of drum. Maybe that’s how the drums come to be.